He addressed meetings held at Muttuchenai, Verugal, Eachchilampathu and Ilankathurai Muhathuwaram in the Eachchilampathu Assistant Government Agent division and Kattaiparichchan, Soodaikudah and Koonitheivu areas in the Muttur east, sources said. Mr.Sampanthan further said "any government that comes to power after the April general election cannot not rule the country without providing an interim administration to the northeast province. The interim administration proposal to the northeast is not a new one. 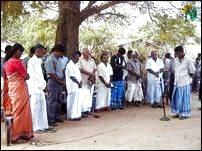 The then President Jayawardene proposed an interim administration with majority to LTTE representatives. The incumbent President Ms Chandrika Kumaratunge promised an interim administration to the northeast and hand it over to the LTTE for a period of ten years. Prime Minister Mr.Ranil Wickremasinghe also promised an interim administration during 2001 general election." The forthcoming general election is a means for the Tamils to express their solidarity to the LTTE's Interim Self Governing Authority proposal that has been submitted to the government during the latter part of last year. The ISGA will serve as a vehicle to achieve a permanent solution to the Tamil national question, said Mr.Sampanthan. He warned Tamil voters that a section of a main political party based in Colombo has been attempting buy Tamil voters with money and materials. Information has been received that a consignment of sewing machines has been sent to Jaffna in a container. 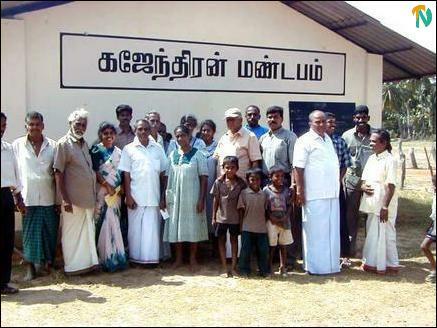 Tamils should not fall prey to these vicious elements at a time when the Tamil freedom struggle reached its climax with the support of international community to achieve its legitimate rights, Mr.Sampanthan stressed. 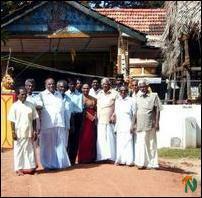 TNA candidates Messrs K.Thurairetnasingham, Mr.S.Gowrimuhunthan and Satha Shanmuganathan also spoke.